In the past 2 weeks, we have moved all 5 online media databases (movies, books, music, comics and games) to 5 new separate database servers. This week, CLZ web developers Sven and Dion have further optimized these new servers to give you even better performance from Core, especially for title searches that have many results. The fruits of their labour are now immediately noticeable in the ADD screens of your Connect software. Enjoy! Today, we have completed the big project of moving our 5 Core and Cloud databases to a new server solution. Previously, everything was running on two high performance dedicated machines: one for all databases and websites, the second for all cover images. 5 separate storage servers / delivery networks for all cover images. Status: preparing the switch now. ETA: several weeks. 1 new fast web server for the Cloud, Core and Connect sites and services. The home / hub page of your CLZ Cloud or Connect account now loads a lot faster. Export your entire database, by choosing Export from the Tools menu. Export only a selection. To do this, go to Select Mode, select some items, then click the Export button at the top. 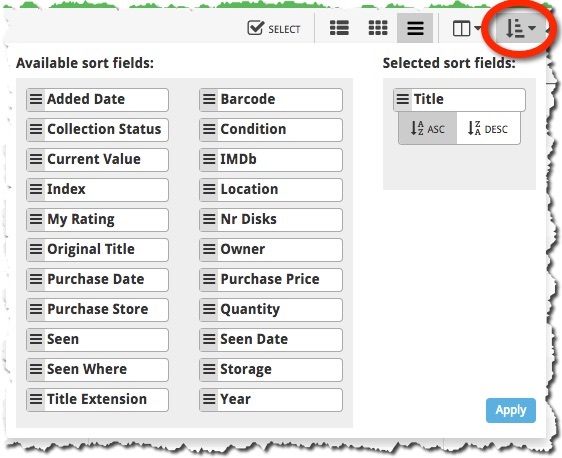 Today, more sort field options have been added to the Sort Order screen of all five Connect and Cloud Viewer editions. This basically means that from now on, ALL available cloud fields can also be sorted on. The Alphabet Bar is back! The first version of Connect had a nice A to Z “alphabet bar” at the top, for quickly filtering your list to show only the items starting with a specific letter. However, in the Two-Point-Oh redesign the wise wizards at the CLZ HQ the alphabet bar was reduced to just a tiny button, with a drop down panel showing all letters. Which of course saves space on the toolbar, in an attempt to make it all fit on smaller tablet and phone screens. Not a bad idea in itself, but the first letter filtering lost its’ easy of use and accessibility. So we changed our minds and today we brought back the Alphabet Bar! Editing multiple items with really many items selected (say over 1,000) didn’t work. Now it does. But still, editing many items in one go may be slow. On large desktop screen, with the browser window set full screen, the infinite scrolling system didn’t work. It immediately stopped loading after the first set of items was shown. Happened only in Images and Card Views though, in List View all was well. Fixed now. When changing the sorting by clicking a column header, the sort direction of the previous sort column was used. Now it correctly resets to ascending sorting when changing to a different sort field. 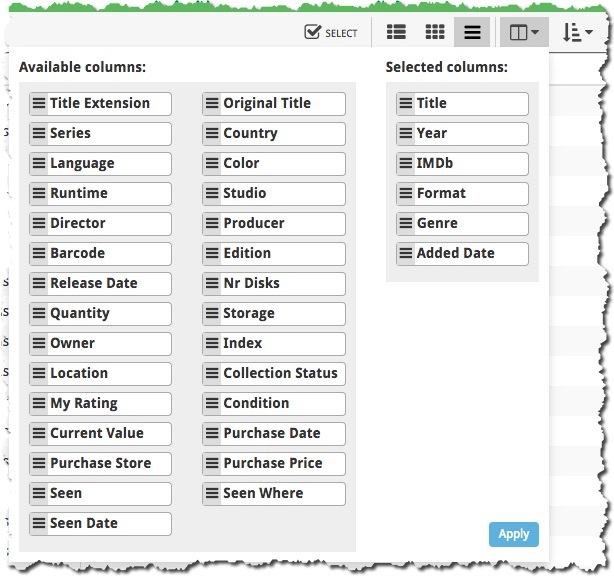 Until recently, the public Cloud Viewer always followed the Sort Order and Columns selection set by the owner of the specific cloud collection you were viewing. 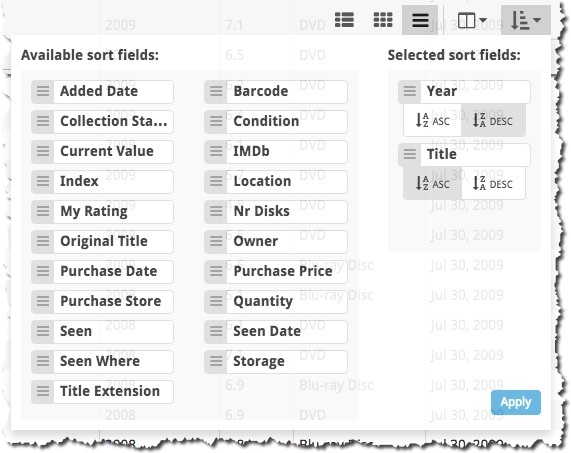 Now, everyone who views your collection in the cloud is able to select his own Sort Order and Columns. Of course these settings are saved only for them (in a local cookie on their device), so their choices will not affect your own settings. New : Edit or Remove multiple items in one go! About a month ago, we introduced a new “quick edit” pop-up screen, that is probably already saving you a lot of clicks and page refreshes. Today we’re taking the next step: Batch editing! Now click entries in your list to select them. They will highlight in light blue. Now click Edit on the top right to open the Batch Edit screen. Check the checkbox of the fields you want to change, then enter the new value. Click Save to apply the changes to all selected items. This is a very powerful feature that will save you lots of time. But beware, as Uncle Ben once said: “With great power comes great responsibility”! BTW: the same selecting system can now be used to remove multiple items in one go. Super-handy but even scarier if you make a mistake. So be careful! 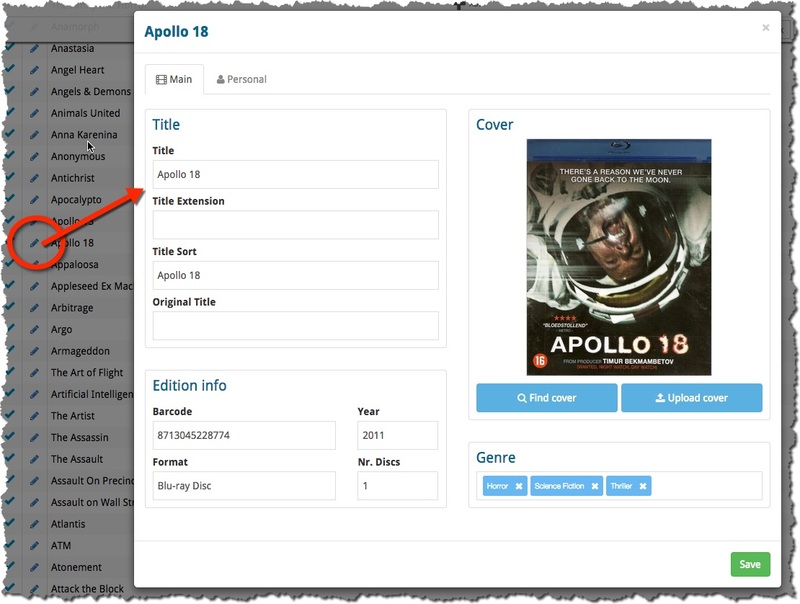 The Edit screen is now a pop-up window, similar to the desktop software, that can be opened from anywhere: from the List View, Cover View, Card View or from an item’s detail page. Opening the edit pop-up from the main list will save you a lot of clicks and page refreshes. 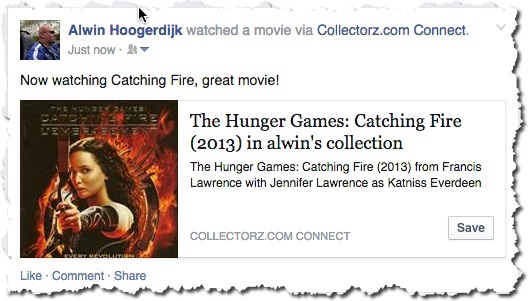 Since Connect 2.0, your collection lists use a “Facebook-like” infinite scroll system: just scroll down to the bottom of the page and the next batch of items is loaded. No more needed to Browse through separate pages with Next and Previous buttons. 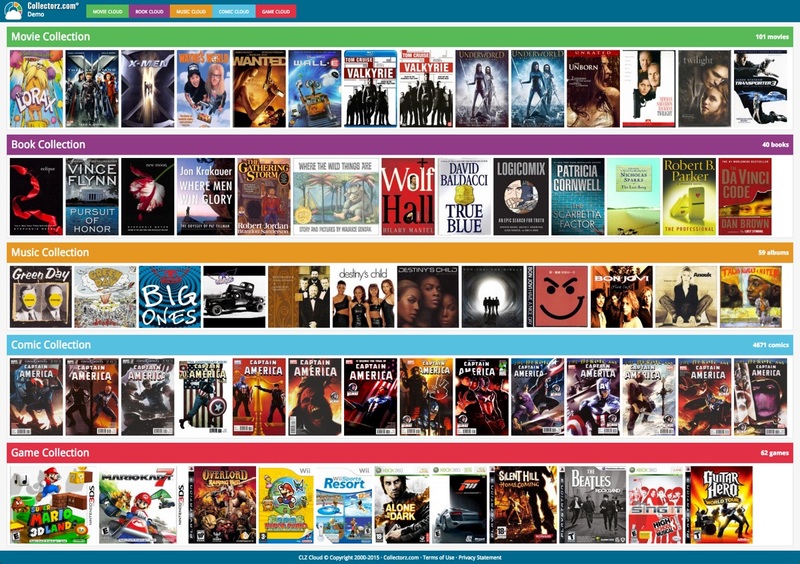 Today we have made this infinite scrolling a lot smoother, by optimizing the loading process of the pages. In most cases, you won’t even notice a delay when you scroll down.